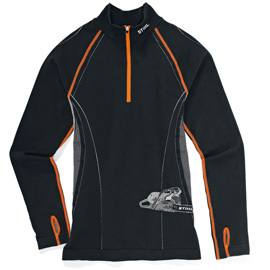 Specially designed for outdoor work and with seamless sewn-in areas for protection and optimum body temperature. Very good moisture wicking and quickdrying properties thanks to different waterproof or water absorbing materials on the inside and outside. Longlasting with silver ions that neutralise odours.